Sun Cruises is located at CCP Terminal A. CCP Complex, Roxas Boulevard, Manila, Philippines. Check in time at Sun Cruises starts at 7:00 AM. It was a gloomy morning then and hoping for a good weather during our entire trip. We left Manila by 8:30 AM, and it started to rain. At 9:30 AM, we arrived at Corregidor Island. As soon as we docked, we embarked from the ferry and rode to our assigned tram. We have a cool and funny tour guide by the way, it’s Mr. Ramon Alfonso. He’s already 74 or 76 y/o if I’m not mistaken but with that age he still wants to work as a tour guide instead of staying in the house. He still enjoys being a tour guide yet he plans to retire by the age of 80. 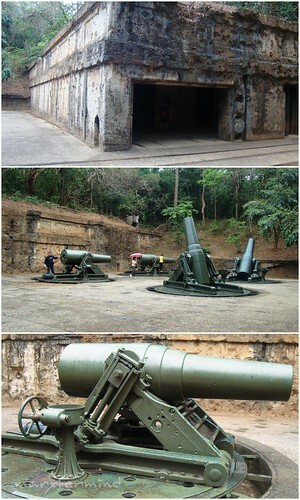 Corregidor is known as “The Rock” because of its rocky landscape and heavy fortifications on the island . Its outline is shaped like a tadpole with its tail running eastward. Along with Caballo Island (which lies about 2000 meters south of the “tail’s” tip), Corregidor divides the entrance of Manila Bay into the North and South Channel. 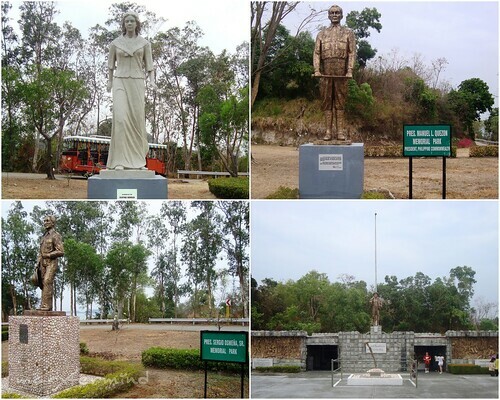 Corregidor and the other fortified islands fall under the jurisdiction of the province of Cavite. But this island belongs to the peninsula of Bataan Province but most of the inhabitants are from Cavite that is why they are claiming it is under Cavite. Geographically speaking it is very near in Mariveles, Bataan compare to Cavite province. Our first stop was at Gen. Douglas MacArthur statue. 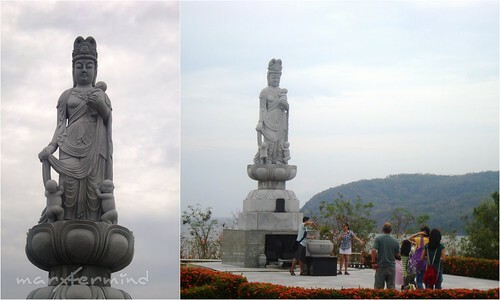 His statue is situated near the ruins of Lorcha Dock. The life-size bronze statue of the general was erected in his honor with his notable message “I Shall Return” engraved below his statue. We were given 5 minutes to take photos of the park and everything, that’s what I hate about tour packages, time pressure! After 5 minutes, we boarded the tram and moved to our next destination. 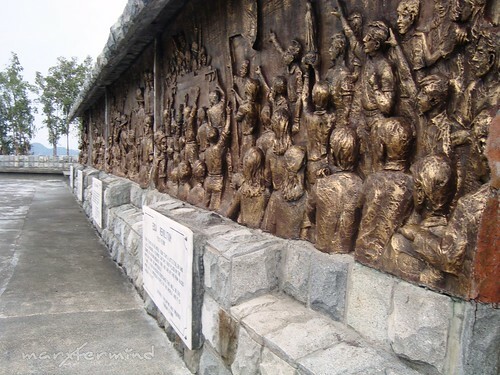 According to our tour guide, it was under Corazon Aquino administration who fixed the road in the island so that tourist can go and discover its history. The late President Ferdinand Marcos did nothing but to look for the Yamashita’s treasure. 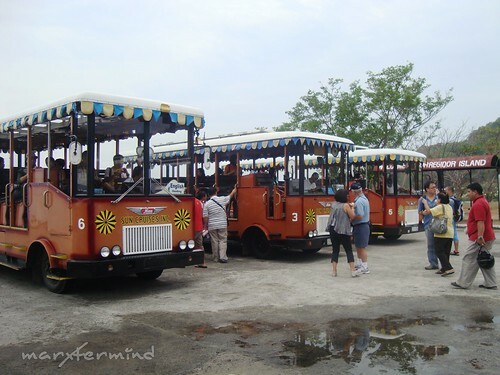 Parks and historical spots in the island are just 5 to 10 minutes away and our tour guide let our tram stops sometimes and showed us some extra-historical spots along our way. We stopped at this park and roam the place again, we were given 15 minutes to take photos. Women are considered angels. As far as I understood it, soldiers could only be in fight or in death, so wounded soldiers are forced to go to the war but nurses were braved enough to stop it. Given the bravery and kindness of these women, they died in saving the lives of these wounded soldiers. Afterwards, we went to the Japanese Memorial Park. 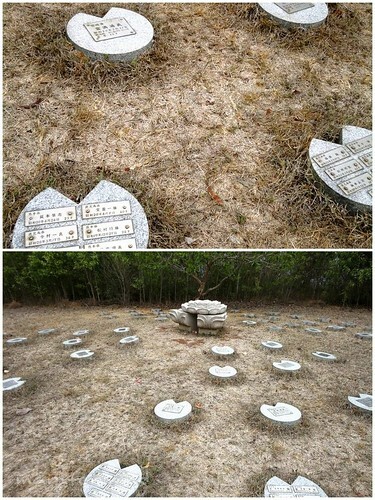 It was a park with gravemarks that were dedicated to the Japanese soldiers. There were also battery hearn placed in the park. 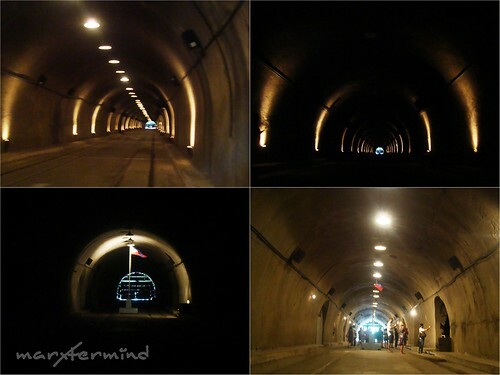 Moving on, we went to the anticipated Malinta Tunnel. According to our guide, it was named Malinta Tunnel because of number of linta (leech) seen in the tunnel. The Malinta Tunnel is a tunnel complex built by the United States Army Corps of Engineers on the island of Corregidor in the Philippines. 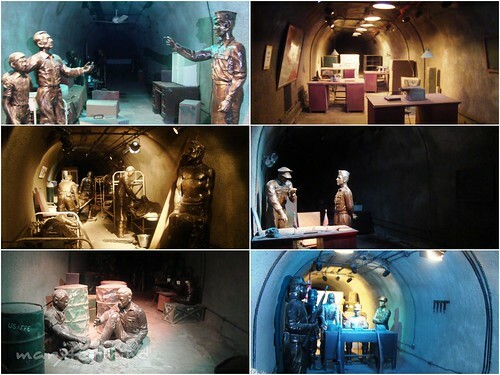 It was initially used as a bomb-proof storage and personnel bunker, but was later equipped as a 1,000-bed hospital. 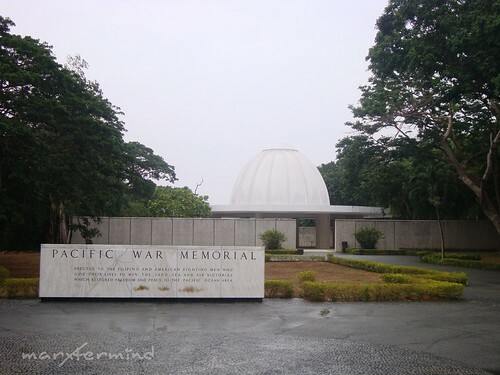 Now, it is the venue of the light and sound show by National Artist Lamberto V. Avellana of events that occurred during World War II, including the evacuation of President Quezon and General MacArthur by Motor Torpedo Boat Squadron Three from Corregidor to Mindanao. They were later flown to Australia. Quezon ran a government in exile in the United States during the war. There was nothing special in the menu. 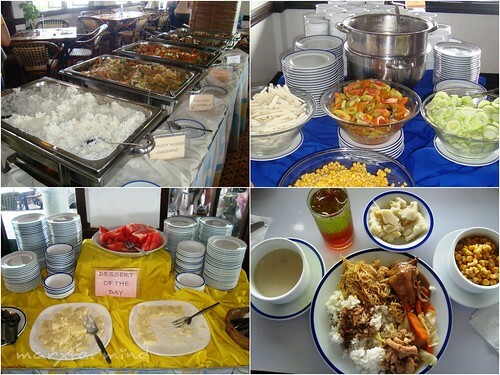 Our lunch includes mushroom soup, salad, mixed pansit guisado, chicken adobo, sauted vegetables, pork (I forgot how it is called but it was pork) and dessert for the day, maja blanca and watermelon. The food was so-so, it was only the mushroom soup and shredded corn that I enjoyed. It was already 12:15 PM and we resumed our tour. We stopped at the Middleside Barracks. It was untouchable so no one is allowed to go beyond the fence. We were given 5 minutes to take some photos but it started to drizzle. So after we took some shots, we went back to the tram. Moving on, its the Battery Way. It was named after Lt. Henry N Way of the 4th U.S. 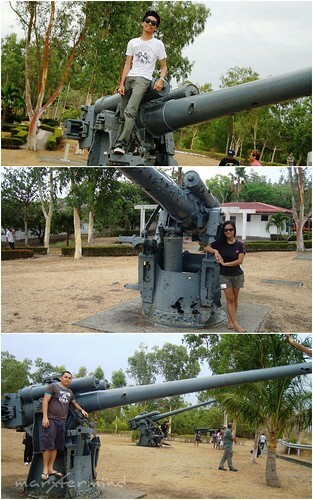 Artillery, is a battery of four 12-inch mortars on the Island of Corregidor. This was the only single-pit battery built as part of the expansion of the U.S. Coast Artillery, and was constructed during the period 1904-1910. Its four mortars were M1890 tubes on M1896 carriages. Afterwards, we stopped by another ruins. The Japanese bombed it’s building because they thought Gen. Douglas MacArthur stayed in this building. How did they know? Back then, it was only Japanese who manufactures cement, we’re a poor country we don’t manufacture our own cement then. We moved on and went to the Pacific War Memorial. There’s a museum in the area that has some memorabilia, pictures and other things that has been part of the World War II. Our tram bell rang which means time to go back. We went back and it started to rain. 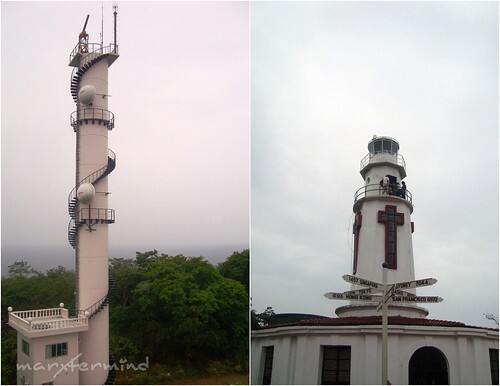 We moved on to our last stop, Corregidor lighthouse. Unlike the other light house that I’ve been to, this lighthouse was small. Though it wasn’t operational anymore, it wasn’t destructed yet so anyone can go up safely. But still be cautious since it was small and the way up is stiff. There are souvenir shops in the area so don’t forget to buy something to remember or collect. It was the end of our trip. At 2:00 PM, we went back to the docking area. When we arrived there, we immediately went inside the ferry since it’s raining so hard. It was a historical trip for us, likewise an educational trip. We went back through time by getting into the places that have been part of the history. 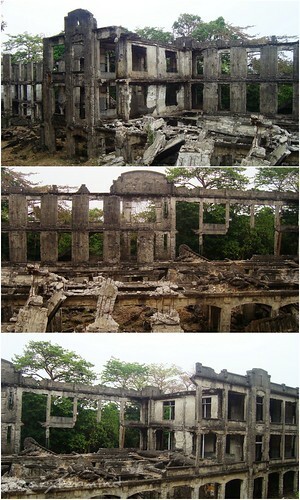 The ruins and what has been left showed us its story and events, a time when we discovered Corregidor Island. Bring a hand-held fan, it is hot inside the tunnel. Bring an umbrella (you’ll never know if it’ll rain). If you want to go overnight in the island, just contact the Sun Cruises. The rate is different from day tour. 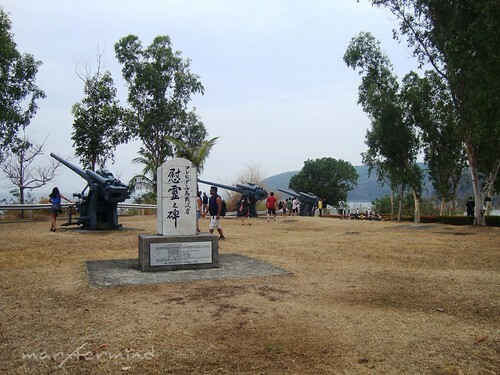 There were also extra-activities that can be done in the island like biking, night lateral tunnel visit, hiking, island runabout, rock balancing and camp adventure. Since we have limited time for day tour, we weren’t able to try any of these. I hope Sun Cruises can work on their tour package to include some free time for these activities. 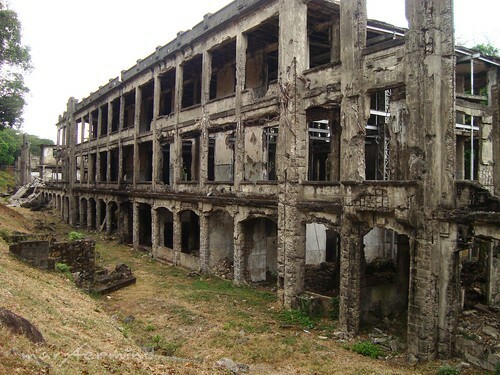 There was also a new adventure offered by Sun Cruises entitled The Corregidor Adventour Challenge! 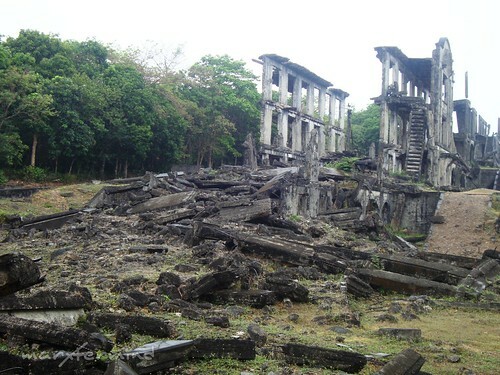 – A race against time, nature trails and the ruins and tunnels of Corregidor Island. A Photo-walk at Ayala Triangle Gardens + More! wahaha! isa siya sa goal ko this year. sana matuloy. ang cute ng mga kuha mo. lalo na dun sa parang cemetery. Mukang mga pacman. hahaha! kung alam ko lang sana yang package na yan. Tsk tsk tsk! grab ko talaga. Whatta good deal! 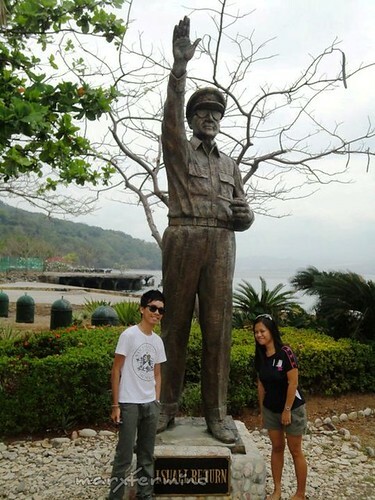 Hopefully I score a package like that, would love to go back to Corregidor one day. i think i need to add you sa PTB. it's Pinoy Travel Bloggers.